Resume Writers' Digest: How Do I Get My Company Logo on My LinkedIn Profile? 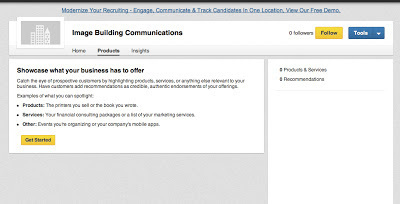 Have you noticed that some resume writers have their company logo next to their business name in their LinkedIn profile? Are you wondering how they made that happen? The answer is: Company Pages! To get that logo to show up on your personal profile! To get additional visibility for your resume writing business on LinkedIn. 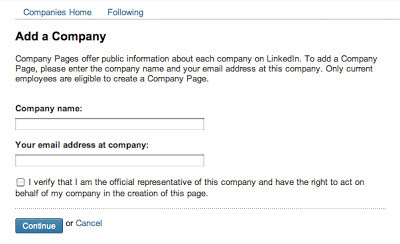 Here is a step-by-step guide to setting up your Company Page on LinkedIn. On the main menu bar, click on the "Companies" tab. On the Companies page, click "Add a Company" in the upper right-hand corner. This wil take to you a page to "Add a Company." Fill in your resume writing business name and your email address (remember, it has to be a domain name for your business name — it can't be a Gmail or other type of email address). You must also verify that you are the official representative of the company by checking the box. You'll be taken to a new page where you can edit your company profile. When you are finished entering the information, click the blue "Publish" button in the upper right-hand corner. Finally, click on the "Products" tab and add in information about the products and services you offer. Not only will this help you attract clients, it will also help your page get found, as the more content you add, the higher the Search Engine Optimization (SEO) value of your page. The LAST STEP you need to take is to edit your profile and select your Company Page when articulating your business name. Go into your LinkedIn profile and choose "Edit Profile." Then, go to your current position and click the "edit" tool. As you type your business name, you should be presented with a list of companies to choose from. Select your Company Page from the list, and then save your profile. You will see that the logo from your Company Page now shows up on your profile. Thank you for this post! You Rock! Nice Post. Thank you for sharing the post it..will be very helpful for readers. Keep posting.! Nice Post. .! Thank you for sharing the article about How Do I Get My Company Logo on My LinkedIn Profile…Enjoyed reading the article.! Do You Want All the Business You Can Handle? So What? Make Me Care! Do It Fast!